Welcome to the BC Entertainment Hall of Fame Jerry! The stars are in place on Granville Street and we have one more official inductee! 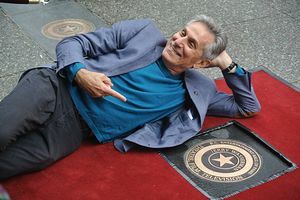 Legendary actor and producer Jerry Wasserman's star was unveiled on Granville Street! Jerry has over 180 acting credits and has appeared on the X Files, Supernatural, Stargate SG1, Smallville, The Flash, iRobot, and many many other productions. What an honour and a priviledge to induct this accomplished artist into the Hall of Fame! !